You can save by getting your furnace tuned before the snow falls. Should you get your furnace tuned annually? Service pros say yes, and most furnace manufacturers agree, often making the warranty dependent on regular tune-ups. In practice, however, the number of homeowners who get yearly furnace tune-ups is about the same as the number of car owners who get regular tune-up for their cars. 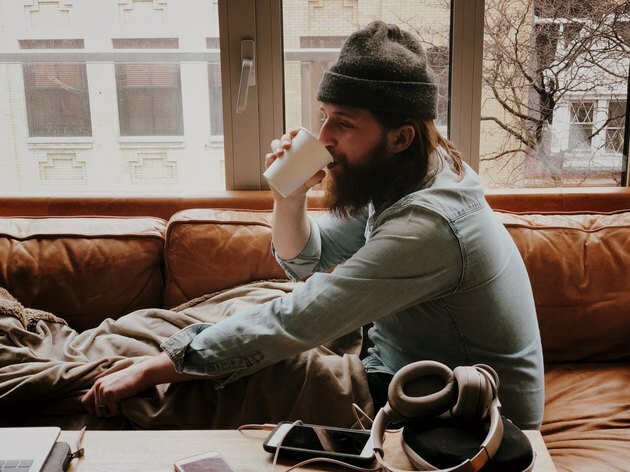 Besides possibly voiding the warranty on your furnace, failure to spend the $80 to $200 for a professional furnace tune-up could cost you extra in energy costs, and it could leave you without heat in the middle of winter. A furnace is a complex system of electronic controls and machinery that takes skill and experience to evaluate. If your system runs on gas or propane, special equipment is needed to monitor combustion gases and check for leakages, and all systems need to be checked for air leaks, condensation and rust. Not every package includes all possible tune-up procedures, but if you choose a budget package and your system needs more intensive TLC than the service package provides, a licensed technician will advise you of that fact in a written report. Some tune-up procedures don't take professional skill, and you can often save money by taking care of some of these yourself before the technician arrives. Some, such as checking and cleaning filters, should happen more often than once a year. During a tune-up , a technician inspects wiring, combustion systems and air flow. Inspect and clean the blower compartment. This often involves removal of the blower wheel for cleaning and lubrication. Check all the wire connections and do a current check on the motor to be sure it's operating at the specified amperage rating. If it's drawing more power than it should, the technician will diagnose the cause and recommend repair if it isn't easily fixable as part of the tune-up. Examine the pilot and adjust the burner on gas-powered units. If combustion is less efficient than it should be, the technician will clean ports on the gas valve and pilot tube. Evaluate air flow through all the heating vents and check for leaks in the ducts. Inspect for moisture rust in the blower housing and ducts. Check all the filters and clean or replace them as needed. Homeowners can take care of the last two items on the list themselves. 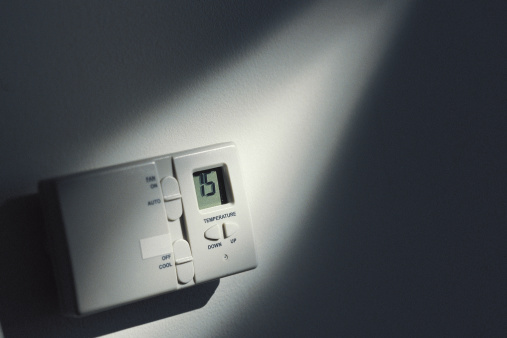 Many furnace malfunctions can be traced to improper thermostat settings, and homeowners can check the programming with the help of the thermostat manual. Filters should be inspected and cleaned twice a year. 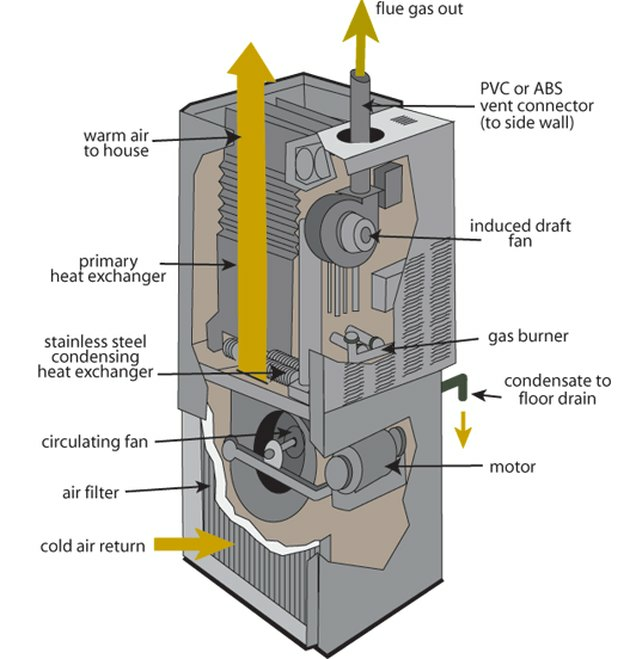 A heat pump adds functionality and complexity to a central air system. Add a cooling component, either in the form of an central air conditioner or a heat pump, and the vulnerabilities of the system also increase. 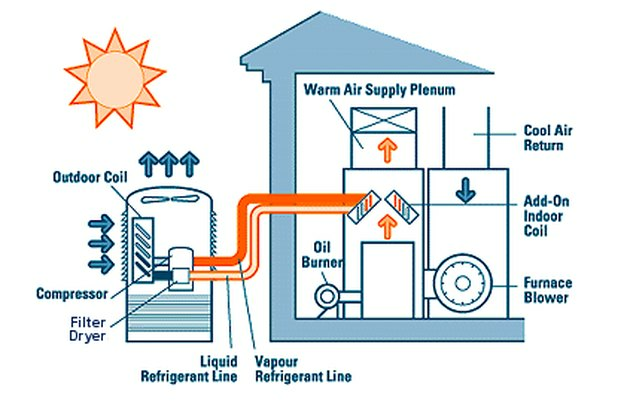 A cooling system requires refrigeration coils similar to the ones in a refrigerator or window air conditioner, and it also requires a drainage system to eliminate condensation from the coils. 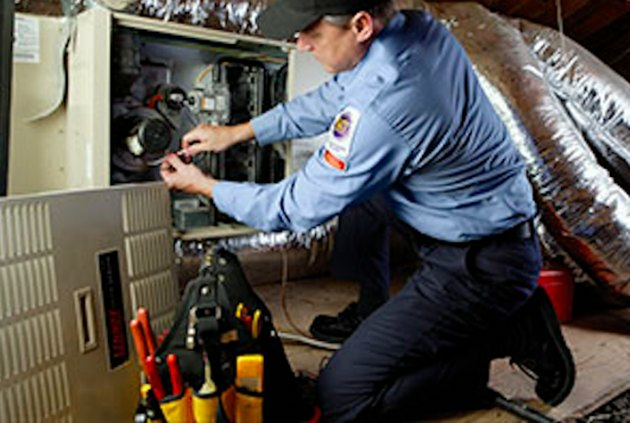 Tuning up the cooling system calls for procedures above-and-beyond a basic furnace tune up. They include checking the refrigerant levels, inspecting the coils for leaks, and clearing any clogs that might be causing water to back up in the drainage system. The tune-up also involves a more careful inspection for rust and corrosion, since moisture is more likely to be present in a refrigeration system. Keep your furnace humming so you don't have to shiver in your own living room. Besides the obvious advantage of keeping the warranty on your central air system in force, a tune-up also ensure the system will last as long as it's designed to do. Just as for cars and other machinery, neglected tune-ups are a major reason for premature failure of HVAC equipment. Tuning up your furnace or central air system also ensures that it's running efficiently, and that means energy savings by as much as 30 percent. You can realize some of these savings by regularly servicing the filters on your system, but getting a pro to check seals, clean gas valves and inspect wiring is money well spent. If your system runs efficiently, you will not only save precious resources, you'll be more comfortable curling up in front of the television on snowy and windy winter nights.